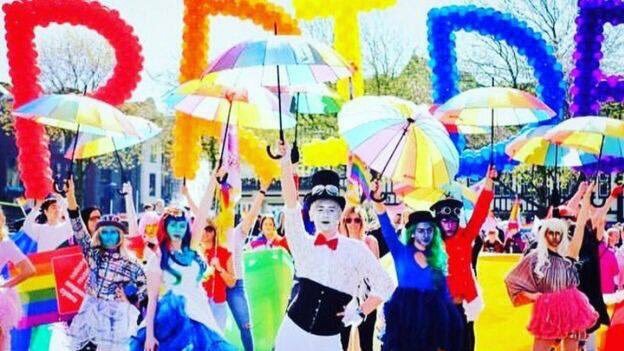 Pantomime flies across South Wales this Christmas! 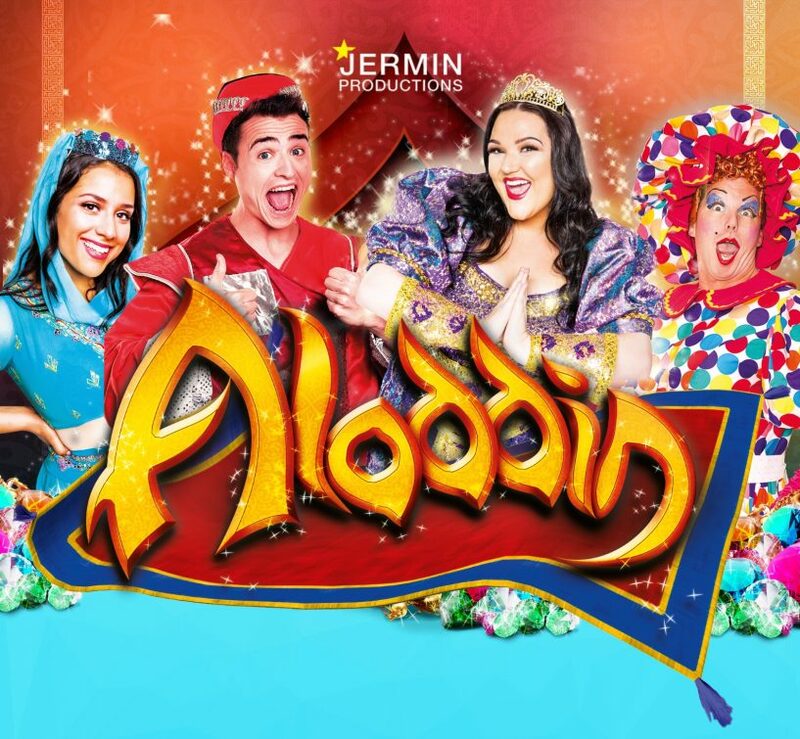 Christmas is a busy time for us all but for one Swansea based theatrical company and family run business Jermin Productions, they really do know how to pack it all in for the festive Season!! Well can you believe it? It seems like only yesterday we were packing away our Beanstalk, Giant and Pantomime Cow Luna and now we’re preparing for this year’s high-flying Pantomime, ALADDIN!! 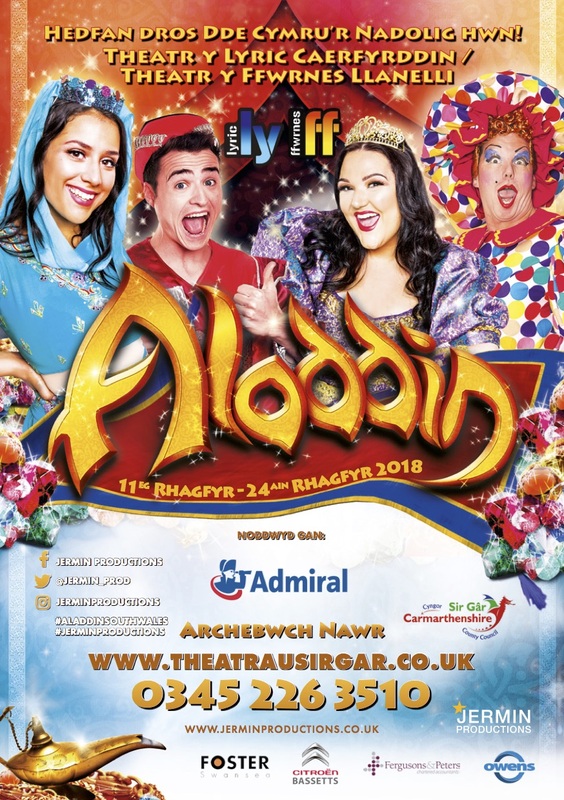 The cast and team behind this year’s South Wales touring Pantomime ALADDIN which magic carpet rides into Port Talbot from 30th November are eagerly preparing for our biggest Pantomime Season to date in ensuring this year’s Pantomime has dazzling magic by the lamp load in this jam packed production. Now in our sixth year of Pantomime production, our production team and returning Pantomime stars are well and truly used to the witty scripts, slosh scene sketches and original song lyrics that have helped make our Pantomime a much loved Christmas tradition for many! This year’s ultra-talented cast will transport you (via magical carpet of course!) through this rollercoaster of a show, filled with a brilliantly inventive script, amazing songs, and dazzling sets and costumes! You’d be a genie- us not to miss it!! So do you want to meet the cast? Jumping aboard the high-flying carpet ride of a Pantomime as the hero Aladdin will be West End performer Gareth Evans as he dashes around a whole new world in search for his Princess, the beautiful Jasmine played by the equally beautiful Elin Pavli Hinde whose credits include S4C. With the help of his wacky and hilarious brothers J J (Adam Byard from BBC’s Casualty and feature film Hunky Dory) and Junior J, and their outrageous mother Widow Twankey (Marc Skone from Pobol Y Cwm), Aladdin stumbles across a mysterious cave that lures them in with the promise of riches and gold. Will Aladdin take the advice from the beautiful Spirit of the Ring played by the delightful Kayleigh Marie Morgan who will showcase her powerful vocals (Britain’s Got Talent and X Factor) and lead Aladdin to rub the magical lamp to make all his wishes to come true. Or will the evil Abanazar (Ben Hamer) trick him into a life as a prisoner?! Only you can find out with a visit to watch Aladdin this December: the jam packed soaring adventure filled Pantomime. And this year’s Cast has been put in place to not only deliver the Pantomime in the English language but to also provide Welsh Language performances both to Schools and to public audiences. “Our company believes it is important to help keep our beautiful Welsh language alive and This year’s cast are not only triple threat performers, they can all sing dance and act but also the ability to perform and sing in Welsh is really important to make a brilliant bi-lingual Pantomime, the fun, the songs, the slapstick never stops in English and yn Cymraeg…” says Mark, Director of the show. Other out of the normal ideas includes one exclusive Adults only performance…. 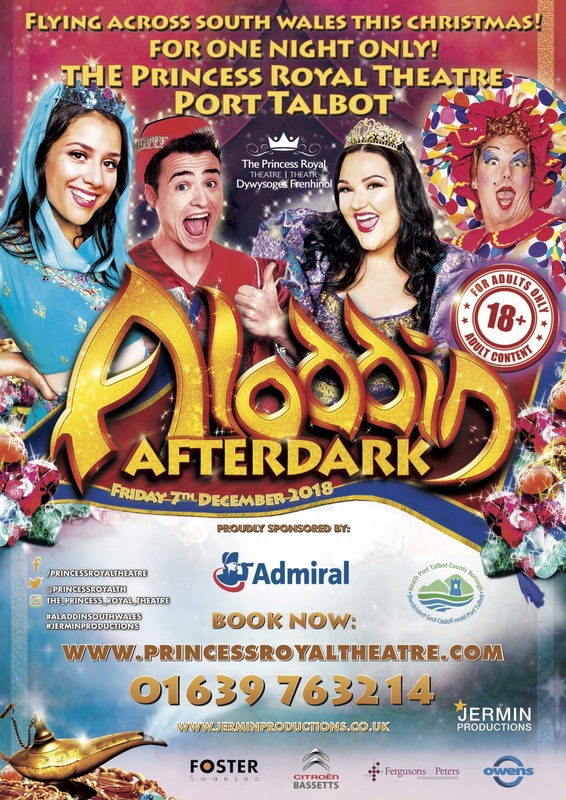 The Adults only ALADDIN AFTER DARK will perform at the Princess Royal Theatre in Port Talbot on Friday 7th December at the later time of 7.30pm. Please Note: This Pantomime performance is not for the faint hearted, easily offended or those under the age of 18! STRICTLY FOR ADULTS ONLY! Tickets for ALL of our Pantomime performances are NOW available from all Theatre Box Offices and online websites below! Be sure to secure your tickets in advance to avoid disappointment!